One of my contributions to Easter dinner tomorrow afternoon at the Flatt's. Homemade Gourmet is know for it's pre-mix packaging. All I had to do is add the mix to 2 sticks of butter and 2 eggs. 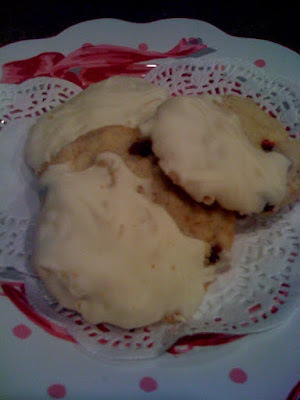 To make it 'semi-homemade', I melted Ghirardelli White Chocolate Chips. My favorites are the Key Lime Cheesecake Ball Mix, and the Beer Bread Mix aka World Vision Basic Bread for Life Mix.